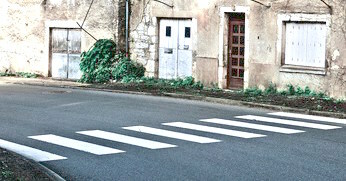 A pedestrian crosswalk consists of black and white stripes each 0.4 m wide. The crosswalk begins and ends with a white stripe, and there are 8 white stripes in all. How wide is the crosswalk?